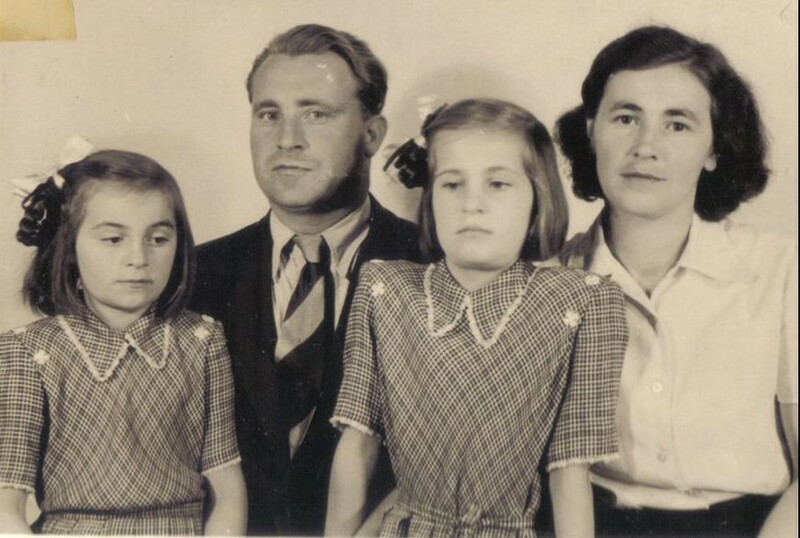 In early summer 1949, Anna Šrotýřová, with her two young daughters, illegally crossed the border of Communist Czechoslovakia somewhere in the area of the former border crossing Modrý sloup. 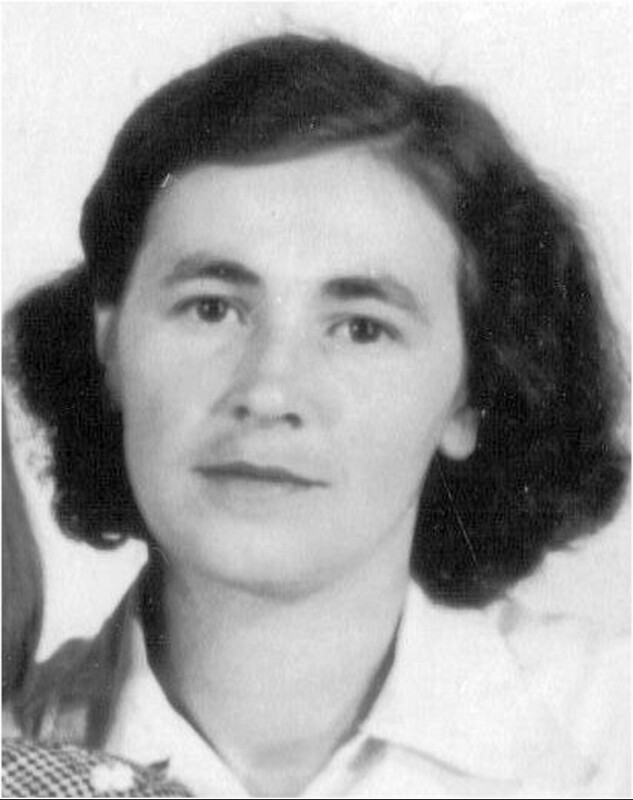 Six months earlier, her husband had escaped to Bavaria and in July 1949, Anna Šrotýřová was supposed to be moved out of the border zone with her whole family as she was regarded as an “unreliable person.” She didn't lose her heart, but instead started to plot an escape under the smokescreen of sophisticated measures taking the form of withdrawing from the supply system and a pretended move to Prague. On the last day of school she took her two daughters, they dressed festively and went to school, taking part in an exhibition on the occasion of the end of the school year. From there, however, they didn't go home, but to the border: “We went into the forest under the pretense that we’d be collecting mushrooms. I took some story books and dolls into my bags and I took slippers for the girls, because they were wearing rubber boots, and we went into the forest to collect mushrooms. The border is only about ten kilometers away. The man who was supposed to accompany us didn't come. The girls wanted to return. They said that I wasn't collecting mushrooms anyway. So I told them that we will have a nice gingerbread house there. Eventually I managed to persuade them to keep walking. We came to such a strip and I said: “Alright kids, let’s go to Germany.” But they didn't want to go to Germany, they wanted to go to grandma. So I took them by the hand and we ran across the border strip. My husband and I had agreed in advance that he’d be waiting for us at the border. I put my daughters on such a large, uprooted tree and told them to wait there, that I'd go and see where daddy was. They were still crying. I saw my husband coming between the trees. When they saw him, it was over with crying – everything was good again. He came in a U.S. army jeep - American soldiers brought him to the border. 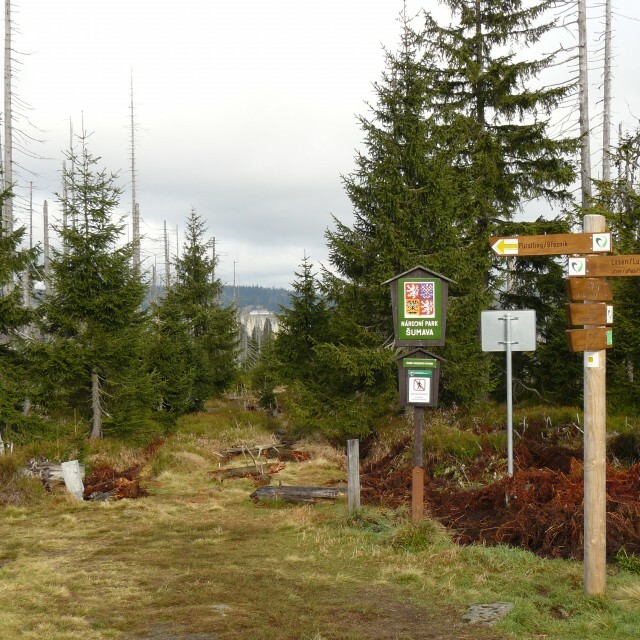 So they put us in the car and covered us with canvas so that nobody could see us and they drove through Finsterau to Zwiesel." 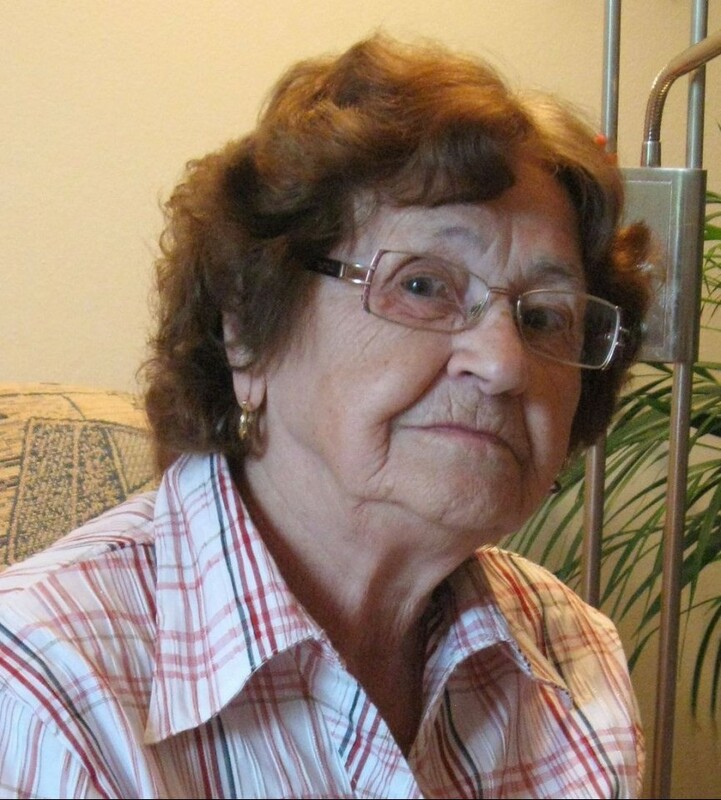 Anna Šrotýřová was born September 16, 1920 in Zdíkov, in the Šumava Mountains. Her father, who had fought at Piava in WWI, fell ill and died soon after his return from the army. The family inherited a small village pub with a tobacconist shop from him. 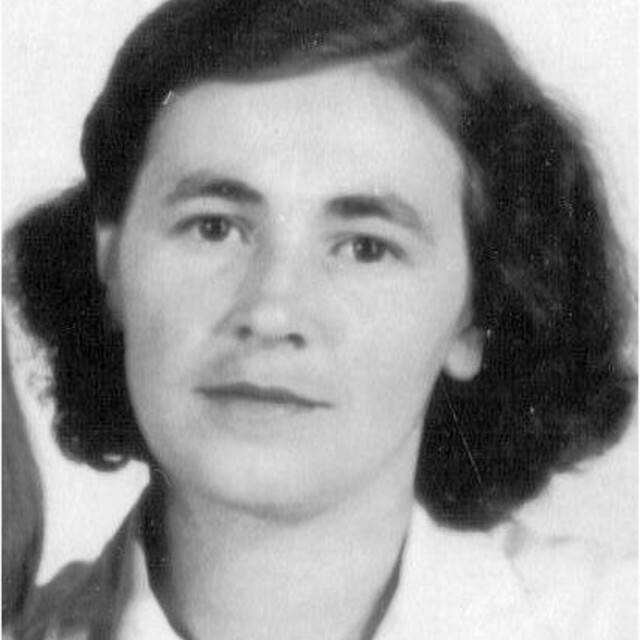 Anna lived in Zdíkov throughout WWII and she met her husband-to-be Jan Šrotýř there. After the war they moved to Kvilda, where her husband worked as a financial guard. After the communist coup in 1948, he and his colleagues helped those who were threatened by the new political regime to illegally cross the border to the West. He fled to Germany on December 14, 1948, immediately before he was to be arrested. His wife and two daughters followed him six months afterwards. They spent the rest of 1949 and 1950 in Murnau, Bavaria, in a camp for refugees from communist countries, and then they traveled by ship to the USA. They spent their life in Chicago and in nearby Berwyn. Mrs. Šrotýřová returned to Zdíkov only after the death of her husband. 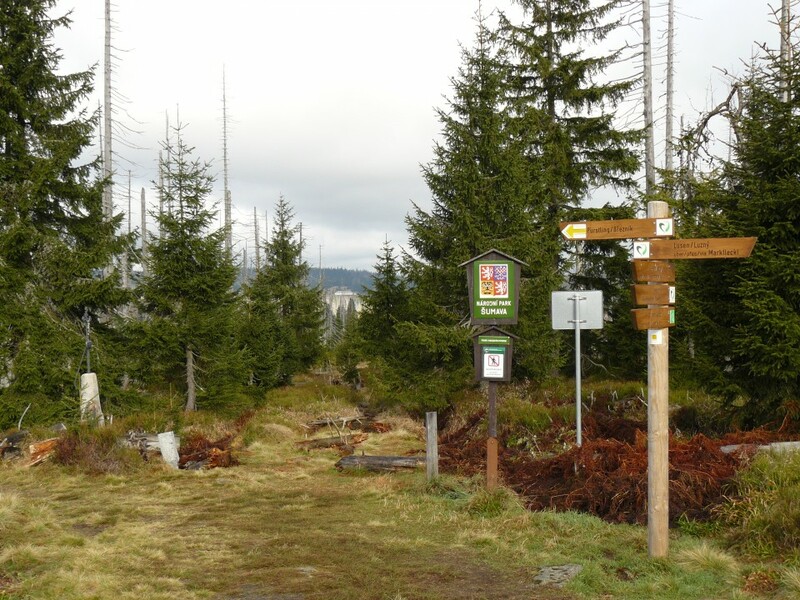 The former border crossing Modrý sloup, (Blaue Säule in German), located in the middle of the Šumava forests, was widely used from the fourteenth century until 1706, when, due to a ban on imports of Bavarian salt into Bohemia, its importance began to decline. However, it continued to serve its purpose until the end of the Second World War. After the formation of the iron curtain it was closed, but illegal border-crossings to Bavaria would still take place in its surroundings. In the summer seasons of 2009, 2010, and 2011, it was opened for a trial, but because of reasons of nature protection and conservation, it was closed again.